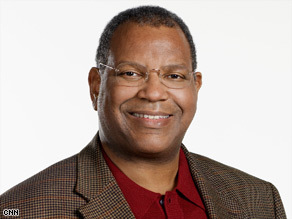 Dr. Otis Brawley says open-mindedness has helped advance traditional medicine. (CNN) - This week, the comedic actress Suzanne Somers is promoting her newly released book, which espouses the virtues of alternative medicine and, more important, explains why one should avoid conventional medicine. She is a wonderful actress, and I wish she would stick to her first chosen profession. I know some people will hear her message, follow her advice because of her celebrity status and be harmed. Her medical advice may even cause death. She joins the list of celebrities who have advocated alternative and complementary treatments for disease and non-proven conventional medicine. I have spent much of my professional career documenting disparities in outcome, higher mortality and more suffering among minorities, poor people and even the uninsured middle class who have limited or no access to conventional medicine, the therapies Somers criticizes. Mind you, I am not critical of the concept of alternative and complementary medicine. When used wisely, it can be useful. Indeed, open-mindedness to other ideas is how we advance conventional medicine. Today, conventional medicine has the extract of a tree bark called aspirin or the root of a plant called vincristine because of observations from those who practiced non-conventional medicine. My problem is with some and not all of the advocates of alternative and complementary medicine. My problem is with those who reject the scientific method. Some actually do not reject the scientific method. They seem not to even realize that there is such a thing to reject. But risk factors don't tell us everything. Many people with one or more risk factors never get cancer, while others with this disease may have had no known risk factors. Although we don't yet completely understand the causes of prostate cancer, researchers have found several factors that may change the risk of getting it. For some of these factors, the link to prostate cancer risk is not clear, yet. Prostate cancer occurs more often in African-American men than in men of other races. African-American men are also more likely to be diagnosed at an advanced stage, and are more than twice as likely to die of prostate cancer as white men. Prostate cancer occurs less often in Asian-American and Hispanic/Latino men than in non-Hispanic whites. The reasons for these racial and ethnic differences are not clear. Prostate cancer is most common in North America, northwestern Europe, Australia, and on Caribbean islands. It is less common in Asia, Africa, Central America, and South America. The reasons for this are not clear. More intensive screening in some developed countries likely accounts for at least part of this difference, but other factors are likely to be important as well. For example, lifestyle differences (diet, etc.) may be important: men of Asian descent living in the United States have a lower risk of prostate cancer than white Americans, but their risk is higher than that of men of similar backgrounds living in Asia. If prostate cancer has affected you or someone you know, you'll want to tune in to Larry King Live Friday. John McEnroe, Colin Powell, Joe Torre, and others join Larry for the hour, 9pm ET. 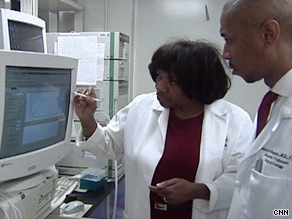 (CNN) - For 12 years, Georgia Dunston and Dr. Chiledum Ahaghotu have been trying to figure out why African-American men develop prostate cancer at an earlier age and are twice as likely to die from it than any other group in the United States. Doctors are looking to genes for answers as to why prostate cancer is so deadly among black men. Although scientists have long suspected a genetic component, the link was never explored in depth before Dunston and Ahaghotu decided started their study. In 1997, Dunston, Ph.D., the founding director of Howard University's National Human Genome Center, and Ahaghotu, a urologist, began the African-American Hereditary Prostate Cancer Study to study the family genes of black men with prostate cancer. By following the different generations, and tracking their health and genetic makeup, the scientists hoped to better understand why prostate cancer is so deadly in this population and whether the disease is primarily inherited or caused by environmental or lifestyle factors. Sound off: How can we close the disparity gap in healthcare for black Americans? "We're looking for those individuals who can give us an indicator of what are the genes that are associated with that underlying cancer," said Dunston. "Because it's not a difference in the gene - the difference is whether you're born with it or it's caused by changes that develop later in life"
Thirteen research centers across the country, including one at Howard University in Washington, recruited black men and their relatives - siblings, fathers, uncles, grandfathers, great-grandfathers from a total of 77 families - and recorded their medical history. With support from the National Institutes of Health and the National Human Genome Research Institute, AAHPC researchers have been sifting through family health records and looking at the participants' genetic makeup, through blood samples, to see whether there are common genetic mutations or markers that are linked to the disease. 16-year-old Nick Jonas was diagnosed with type 1 diabetes when he was 13. The youngest memeber of the Jonas Brothers has teamed up with the Juvenile Diabetes Research Foundation International, and will be testifying before Congress next week to raise awareness and request additional research funds. 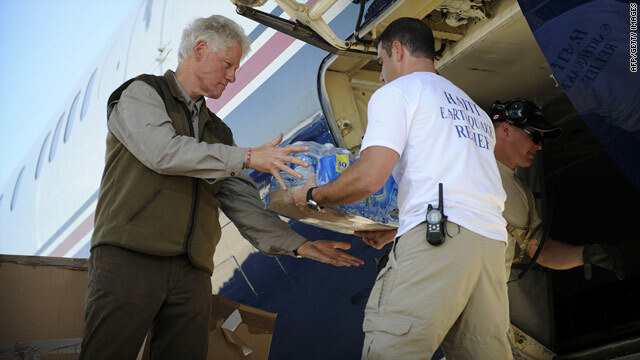 He'll also be participating in the JDRF Children's Congress in Washington next week. While the debate rages on in America about how do we deal with illegal immigrants I must say the last week has shown we can put it aside when it comes to the America Spirit. Many CNN viewers have been following the story of the an 18-year-old Guatemalan man who doctors say faces almost certain death unless he receives a transplanted heart here in the United States. When I met Juan last Sunday in Atlanta I did not see his status, what I saw was a terrific young man and his family clinging to hope as he seeks a new heart. Initially, Juan just hoped to see his parent before he died, now he has a chance to live due to the outpouring of financial support from CNN viewers across the world. He still has a long way to go and he may still not make it but the fact our viewers made a decision to help this boy shows how great the American spirit is when it comes to valuing a life no matter what Juan's status. We have a lot to work out in our country when it comes to immigrants and the impact on our health care system, but in this one case I think we should all be proud of what you have done. I was honored to have my Foundation help get him to a hospital that could help and thankful for the viewers who are making a dying man's wish come true. Red Bull Gives You Cocaine? HONG KONG (AFP) Hong Kong officials say they have found traces of cocaine in cans of Red Bull, a few days after Taiwanese authorities confiscated close to 18,000 cases of the popular energy drink. Officials at the Centre for Food Safety said a laboratory analysis found tiny amounts of the illegal drug in samples of "Red Bull Cola," "Red Bull Sugar-free" and "Red Bull Energy Drink", a spokesman said. The drink has now been taken off the shelves of major supermarkets, the spokesman said in a statement issued late Monday. He added that the amount of cocaine found in the drinks posed little health danger. Outside Oprah's world, there isn't a raging debate about replacing hormones. [Suzanne] Somers "is simply repackaging the old, discredited idea that menopause is some kind of hormone-deficiency disease, and that restoring them will bring back youth," says Dr. Nanette Santoro, director of reproductive endocrinology at Albert Einstein College of Medicine. Older women aren't missing hormones. They just don't need as much once they get past their childbearing years. Unless a woman has significant discomfort from hot flashes—and most women don't—there is little reason to prescribe them. Most women never use them. Hormone therapy can increase a woman's risk of heart attacks, strokes, blood clots and cancer. And despite Somers's claim that her specially made, non-FDA-approved bioidenticals are "natural" and safer, they are actually synthetic, just like conventional hormones and FDA-approved bioidenticals from pharmacies—and there are no conclusive clinical studies showing they are less risky. That's why endocrinologists advise that women take the smallest dose that alleviates symptoms, and use them only as long as they're needed. At Oprah's retail store in Chicago, women can purchase used shoes and outfits that she wore on the show. Her viewers follow her guidance because they like and admire her, sure. But also because they believe that Oprah, with her billions and her Rolodex of experts, doesn't have to settle for second best. If she says something is good, it must be.